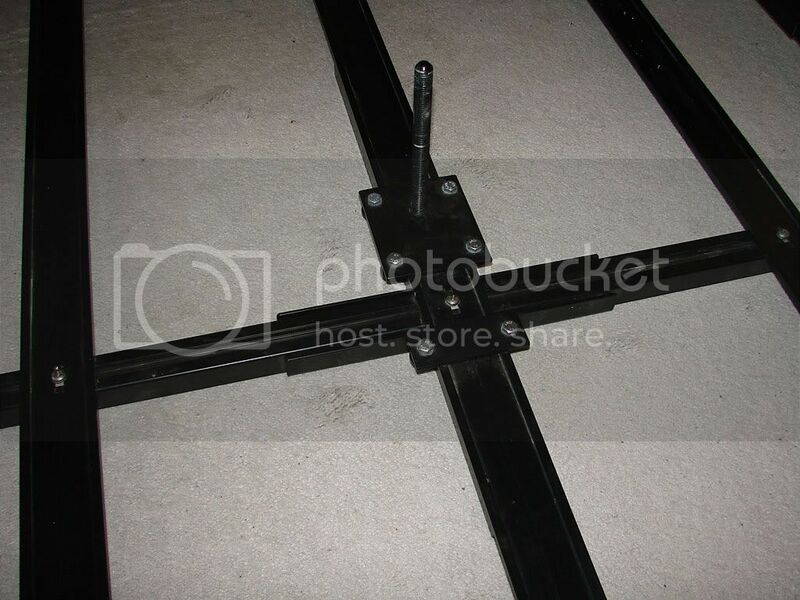 From FastTrackRacks.com, the Hitch Coupling Tightener was $20, its their own design. 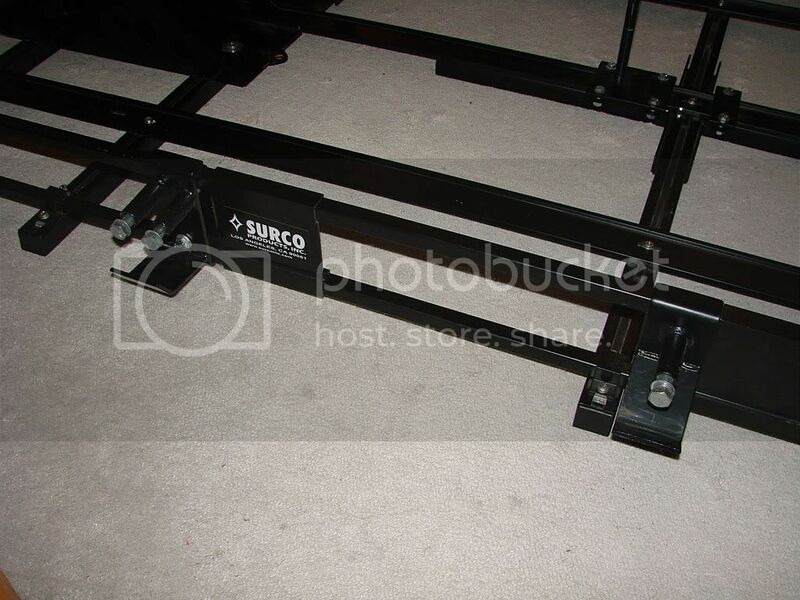 So I decided to also get the Surco Fold Up Rack Adapter from them at the same time, it was $45. As for the Curt Spare Tire Mount, I bought that used from The Roadie, but I have seen it online at JC Whitney for $80. 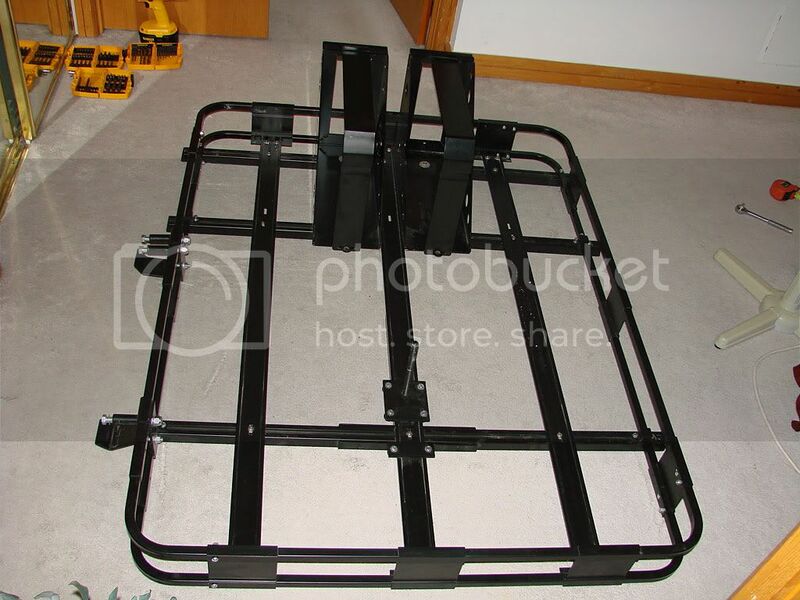 Now, for the Surco roof rack, unfortunately I didn't take any pictures as I was putting it together. I was really behind schedule as I was trying to get it put together and put everything else into/onto the vehicle. It actually delayed my departure by 1 day. 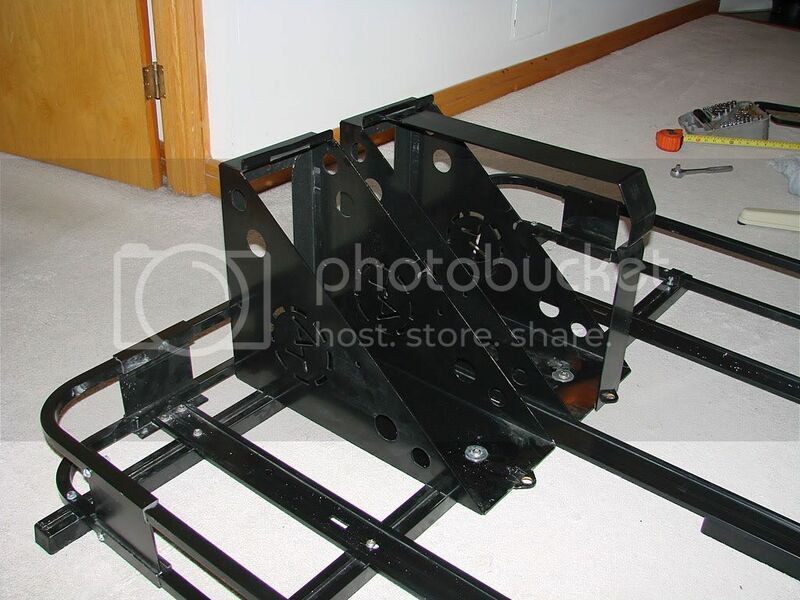 I can tell you that it is the 45" x 60" safari rack, and I think it is rated for 250 lbs (in comparison to the Yakima I was originally looking at which was only rated for 140). I also installed an additional cross member for support. 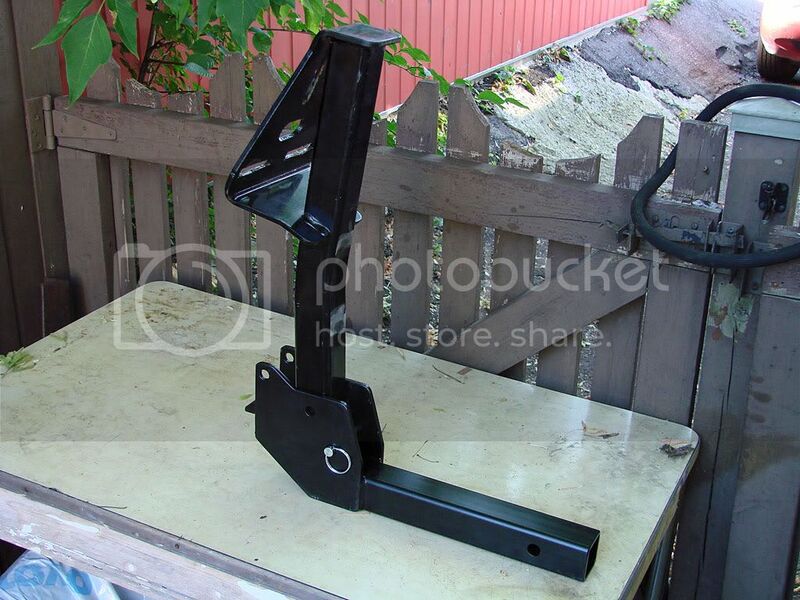 Plus there is the tire adapter and the hi-lift jack adapter. I did not install the axe/shovel adapters or any light mounts, just didn't have time. I also mounted 2 AT Fuel Can holders at the back. 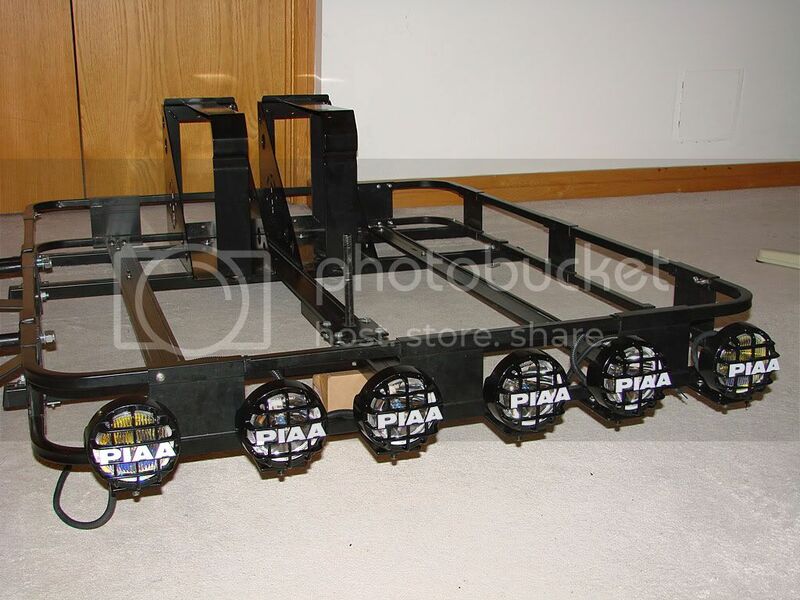 The rack carrier is currently in storage but I am going to be bringing it home to work on the lighting over the next month or so. I'll take some pictures then and do a more detailed write up. During the trip, the carrier felt very solid. On previous experience and recommendation by The Roadie, I fixed it to the vehicle in a non-standard way. 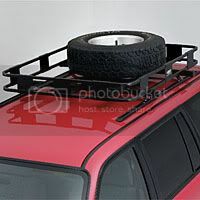 Instead of using their channel adapters which would lift the rack 3 inches or so, I used hardware that came with the channel adapters and attached the rack at 4 points directly to the Trailblazer's roof channels. With what I had up there, I did have to get used to the feeling of the weight as I had never put anything up there before except for skis. The reason I'm asking is I have the same rack but in 45X50 size. I do like the fact that it's fairly light weight. 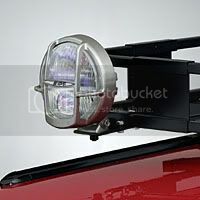 I had 4 lights to the front, 2 to the back, Axe & shovel mount, Hilift mount, and their own universal grabbing mounts. I contacted Surco to see if the extra flooring would increase the racks capacity. They said that the extra flooring would not increase the total capacity beyond 250lbs. It would just allow you to use smaller items. 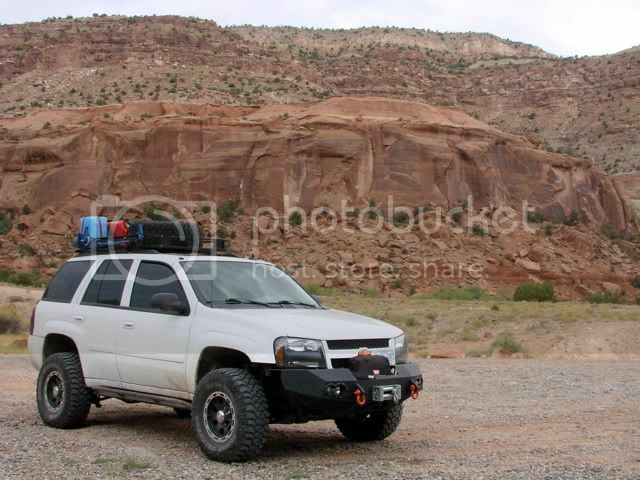 Below is a picture of our Red Rock Challenge Expedition. The Liberty is equiped with the rack. The factory rails did have to be strengthened by adding 2 additional supports. They are barely visible in the photo. The total weight in that picture is just over 200lbs. I think it was approaching it's limits. Cool!!!! 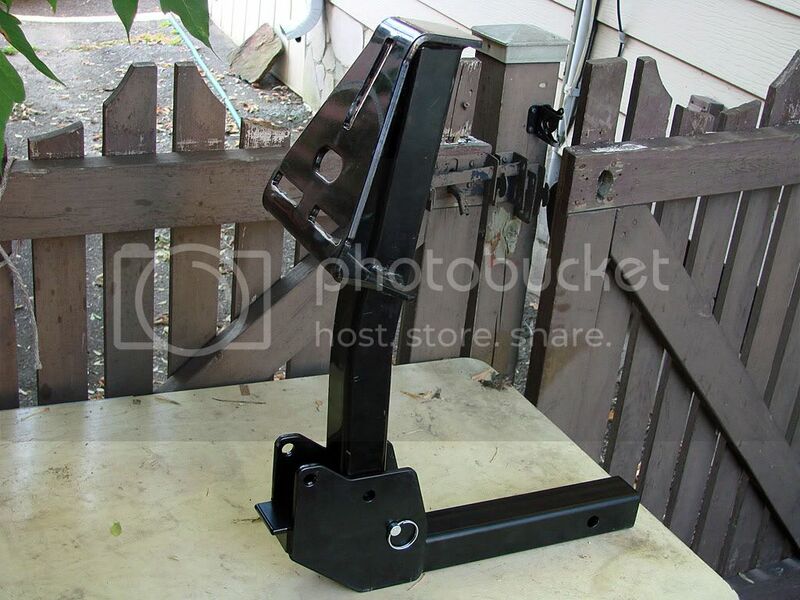 I built the same tire carrier about 7 years ago for my Grand Cherokee; only difference that the fold adapter I used has the ball hitch attached to it. Worked very well. 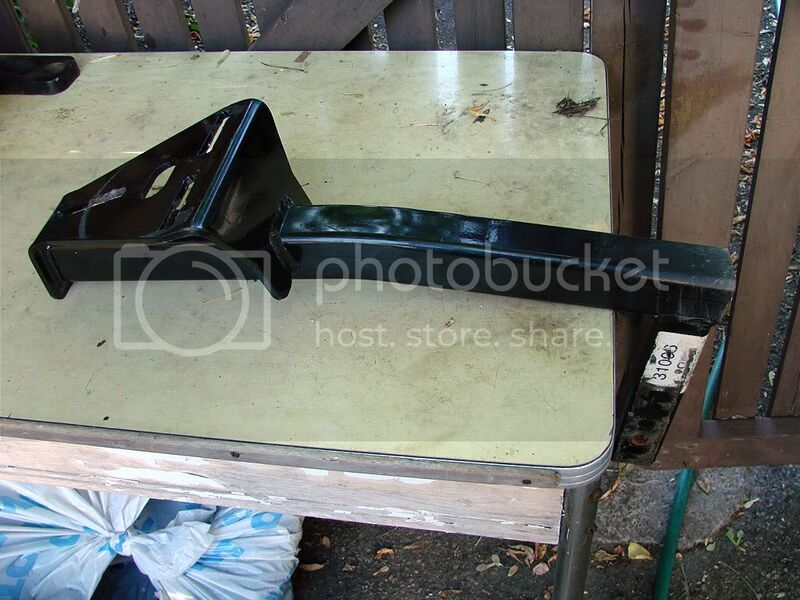 I think I still have it somewhere in my garage; I took it off when I sold my WJ. 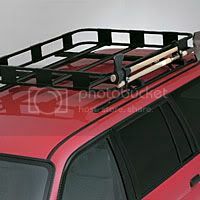 Plus by mounting the carrier directly to the vehicle's roof rails, I didn't have to worry what the factory cross-bars could support. Like I mentioned, I ended up not using the black metal mounts, but only the shorter metal pieces with the threading in the middle. Its hard to explain how exactly it all worked without pictures, I will have to follow up with that later. The key is that the shorter metal tabs are the perfect size to slide into the factory roof rails. 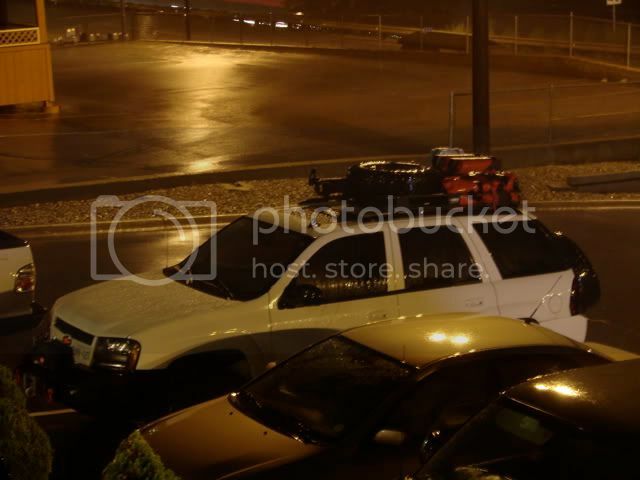 I liked the Yakima LoadWarrior and its line of accessories, however, after doing some research, I found that it did not have a very good weight rating. It does have a spare tire mount but I was also looking to put two 20 L gas cans up there along with a large water container. The Roadie steered me towards the Surco Safari Rack. It has a 250 lb weight rating, is made out of aluminium (won't rust, lighter), and was cheaper than the Yakima (and others). 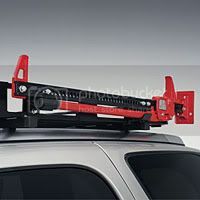 The rack is pretty easy to put together, the kit recommended for a short wheelbase TrailVoy is the 45" x 60" version - part# S4560. Tip #1 - Replace as much as you can of the provided hardware with stainless steel. If you are in southern areas this may not be necessary but for me, its required, even though I am not using the rack in winter. It helps tremendously when storing it. 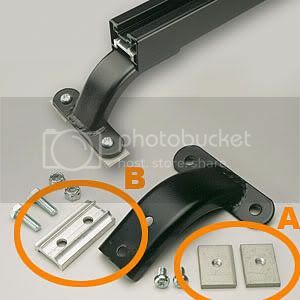 Tip #2 - Reinforce the 4 interlocking pieces over and above the screws provided to lock the pieces together. The Roadie indicated that his started to rattle something fierce so he pop-riveted the pieces together. What I did after assembly is to drill holes through both pieces where one slides into the other one. I then used longer stainless bolts and lock nuts to tighten everything up (8 in total). The tire adapter is made from steel and not aluminium. It uses a cross-brace that is made to fit under the center long floor piece and one of the crossbars, either front or rear. I chose to mount it towards the front. 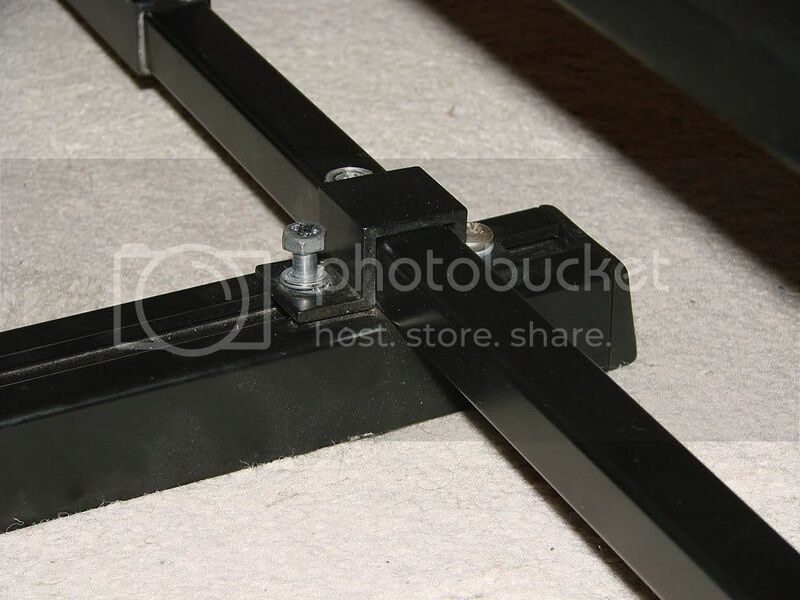 The Hi-Lift jack adapters are also steel and use Grade 5 mounting bolts to hold the jack to the side rails. The bolts actually go through the holes in the jack with 2 at the heavier bottom end. As for the actual gas cans, I ran out of time and ended leaving on the expedition without them. I bought a couple of metal ones in Durango, CO and never ended up needing to use them. But I got sick of them rattling so I recently sold them at a garage sale. I have just put in an order for the plastic Scepter cans made here in Canada which are used by the US Military. One thing about these, they are not CARB compliant so they are hard to buy in the US (by civilians). They will be impossible to get starting in 2009. However, they can still be sold in Canada (for now). 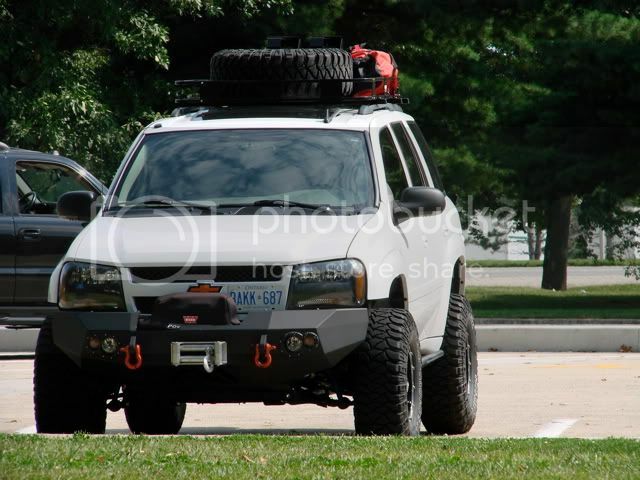 National 4WD is a current dealer, they are priced at $50 Canadian. Now you may have noticed that I had 3 Crossbars on my rack. I ordered an extra 48" pair from Surco (one bar went to The Roadie) because of what I was going to be putting on the rack. However, I quickly realized that this was not going to work the way I anticipated. Our roof rails follow the contour of the roof and are significantly bowed from front to back. 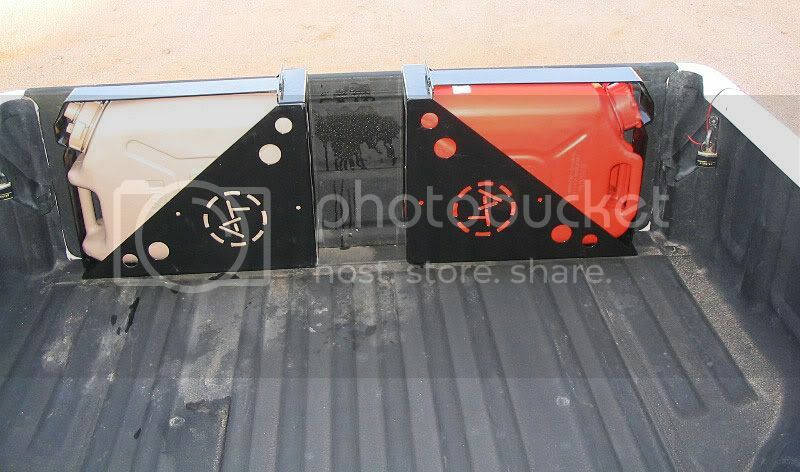 What this means is that you cannot attach all 3 crossbars to the rails. What I ended up doing was using the extra one at the rear so that the AT Can Holders are firmly attached to both crossbars. The front and middle (sort of) crossbars are attached to the roof rails. The rear one is not attached to anything. But, with some experimentation, I ended up putting 1 of the factory sliding crossbars back into the rails, sliding it all the way to the back, and using it as a support for the rear Surco crossbar. It rests quite nicely on the factory crossbar which would be extra helpful when the cans are full of gas. 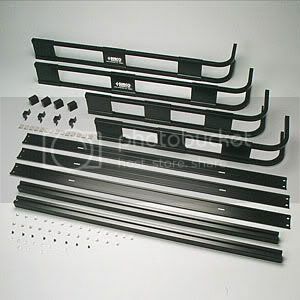 These add unwanted height to the whole assembly and also another point of potential breakage, although I am sure they are strong enough for the weight rating of the Safari Rack. The parts circled A will be used but everything else under normal circumstances will not. You would normally buy 2 CH100 part numbers which would result in 4 mounting points, but I only bought 1 in order to use the parts. Surco may sell or provide just those parts but last year I did not have time to talk to their customer service and request them. Ultimately, I was glad that I didn't because I ended up using the parts circled B to mount the AT gas can holders to the crossbars. Again, The Roadie :bowdown: steered me to this great solution which is made possible purely by some kind of strange coincidence. 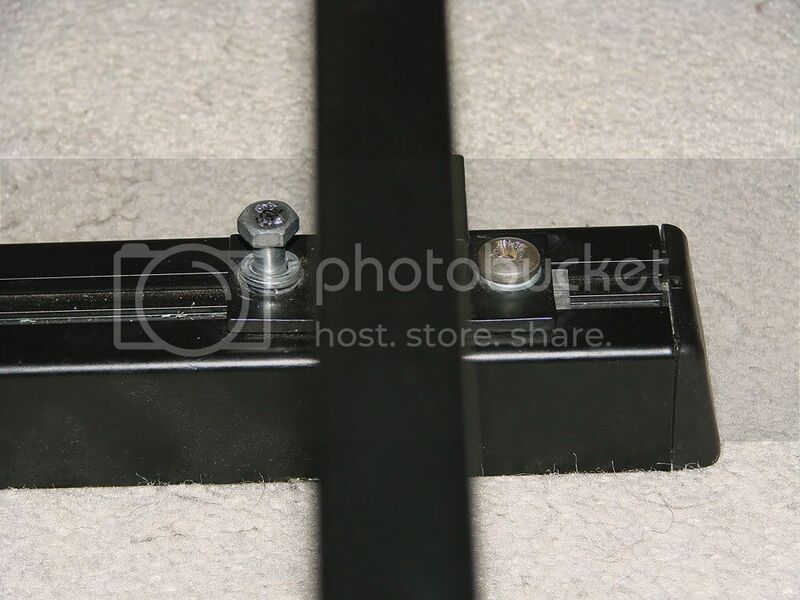 So what you do is not mount the inside of the tab in the normal fashion but you drill a hole straight through the crossbar at the exact location of the hole in the mounting tab. Second you get 2" bolts (4) that will be used with the parts circled A. I don't know the thread particulars but you can take the tab with you (which is threaded) and use it to get the correct bolt. I would not recommend using stainless as they may not be strong enough. In fact, I am going to try to get some grade 5 or possible 8 bolts to replace the ones I have now. And finally you slide the tabs right into the roof rails and bolt the entire thing down. Just be prepared to spend some time fiddling with the tabs in order to bolt everything down. They are a tad too narrow to make things easy (what else is new). 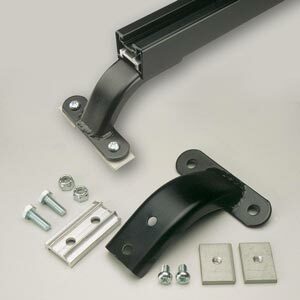 When bolting down you need to make sure that they end up sitting flat inside the rails and NOT on a vertical angle which would make the entire mounting problematic. The tabs need to be rotated horizontally so that they catch the underside of the roof rails absolutely flat across their surface. Once the tabs are mounted perfectly, the whole set up is rock-solid. I was apprehensive at first with all the weight I was going to be putting up there but I did not run into any problems whatsoever on the trip. One thing that helps is that the tabs are aluminium and the underside of the roof rails are ribbed. These small ribs actually dig into the tabs slightly for added gripping. And finally a small teaser to an update that will be posted in a couple of weeks or so. I mentioned that I bought the LT100 Safari Light Bar Adapters. 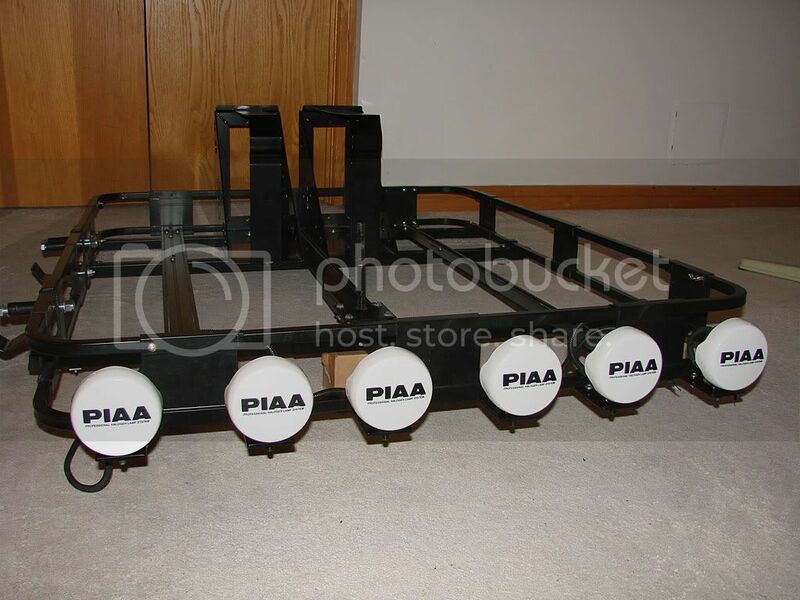 What I didn't mention is that I bought three of them which therefore gives me mounting for 6 lights. I am a bit of lighting nut, so I present to you 1/2 of my auxiliary lighting solution. 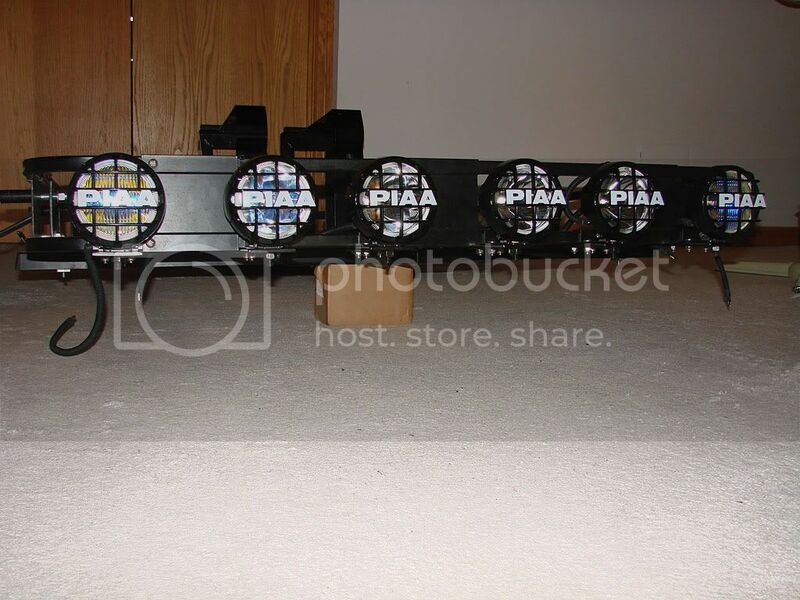 I decided to go with these particular PIAA lights because of their smaller 4" size which does not stick up very much from the roof rack. Much more on the complete lighting solution coming soon. I will also be posting information on my BIG project for this summer - upgrading to 4.56 gears (from 3.42) and a switchable locker in the rear (from the GM mechanical one). 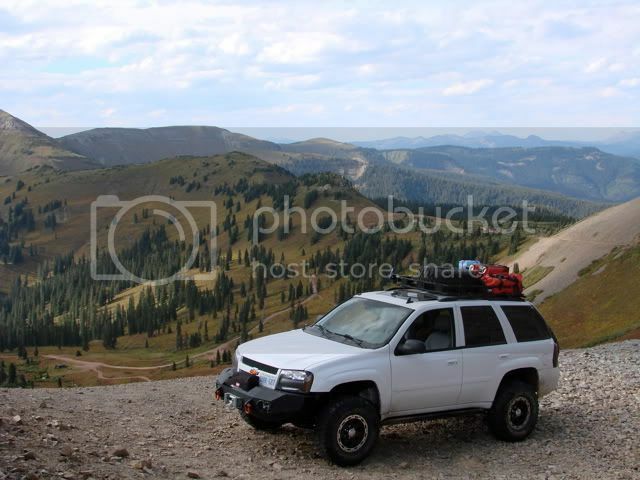 Easily the sweetest Trailblazer I have ever seen. I can't wait to see what it looks with the light setup. Keep up the good work! I should have some more pictures and write-ups in 3 or 4 weeks as I am heading to Carlisle Pennsylvania for the All-Truck Nationals and then to Minden, Ontario for the annual Camp NorthernLights. The Roadie and I have bounced a lot of good ideas off one another in the past couple of years. If you go on his profile he hasn't been on there for awhile. Yep. He has not been on a couple forums for awhile. Hope all is well. us trailblazer guys got to stick together, not many of us around.